^ ا ب پ ت ٹ ث Amsler, C. et al. (Particle Data Group); Amsler; Doser; Antonelli; Asner; Babu; Baer; Band et al۔ (2008 +2009 partial update). "Review of Particle Physics: Gauge and Higgs bosons". Physics Letters B 667: 1. doi:10.1016/j.physletb.2008.07.018. Bibcode: 2008PhLB..667....1P. 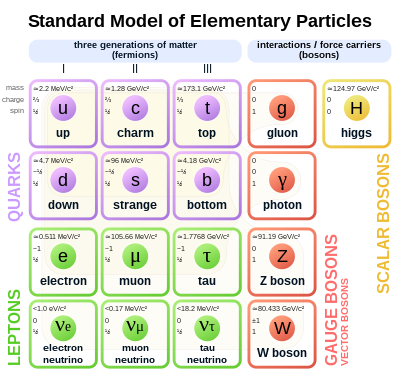 http://pdg.lbl.gov/2009/tables/rpp2009-sum-gauge-higgs-bosons.pdf.